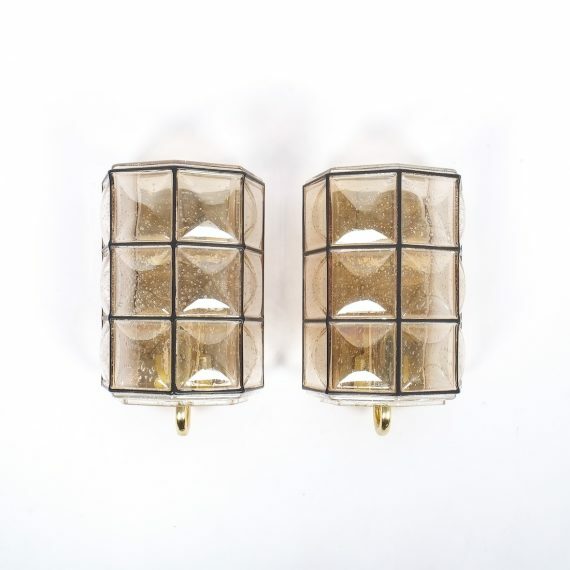 Limburg beautiful pair of glass and brass wall fixtures, Germany, 1960. 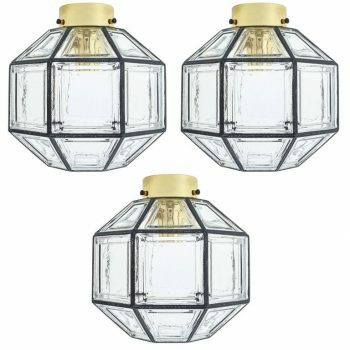 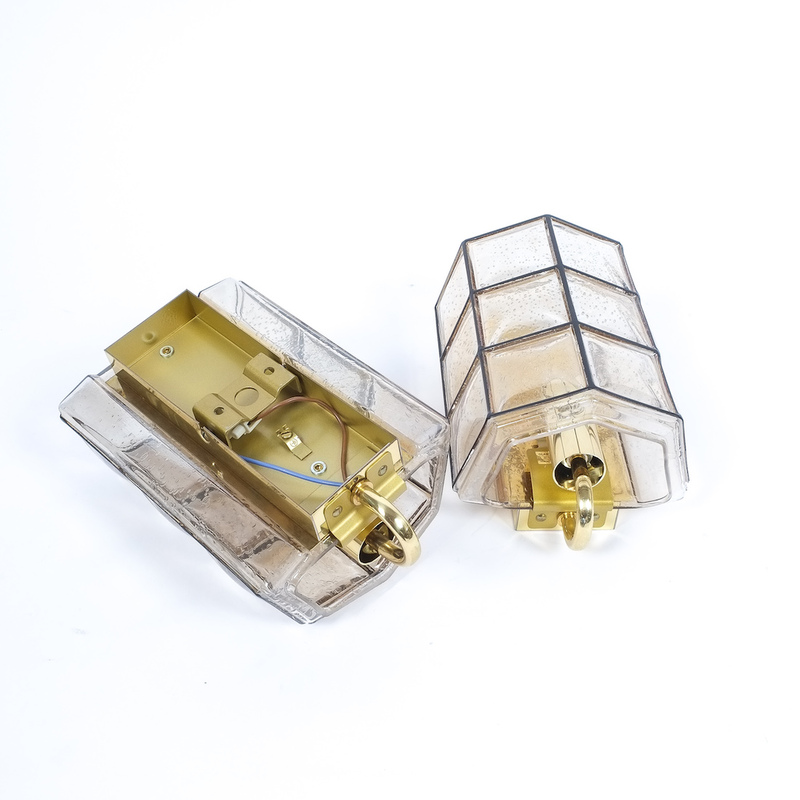 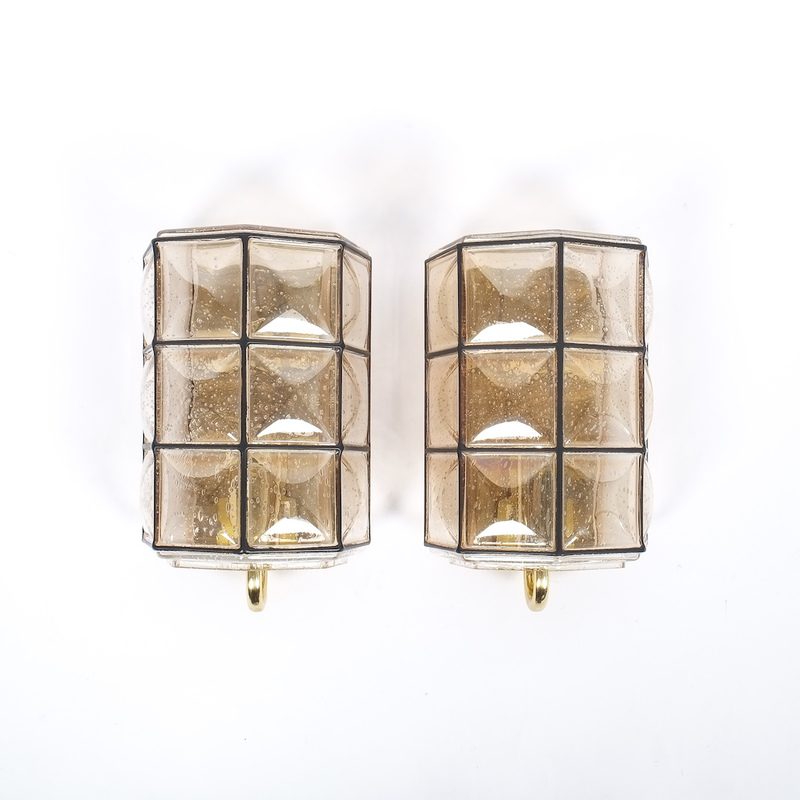 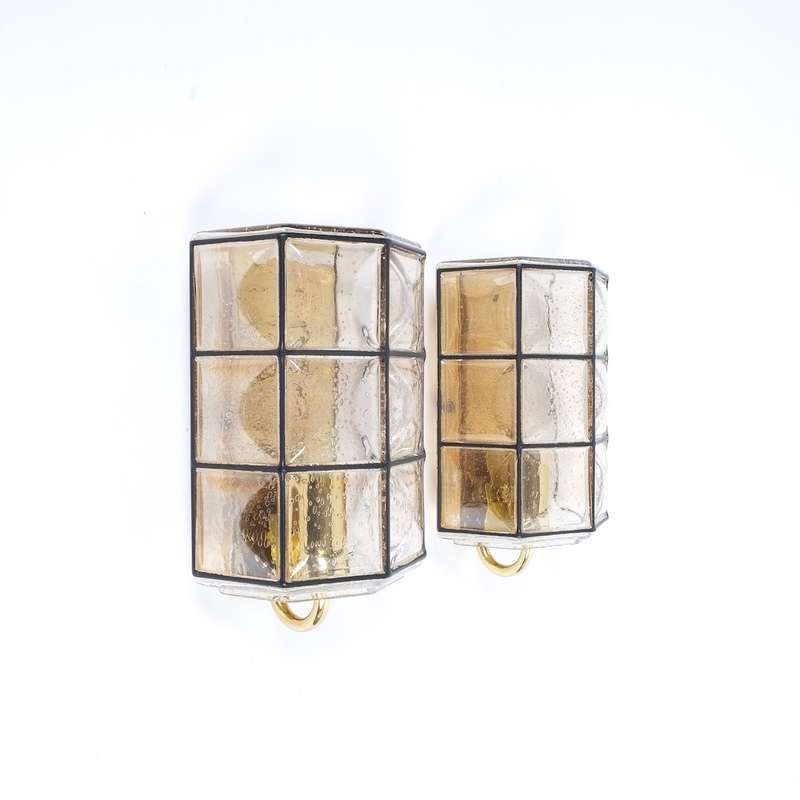 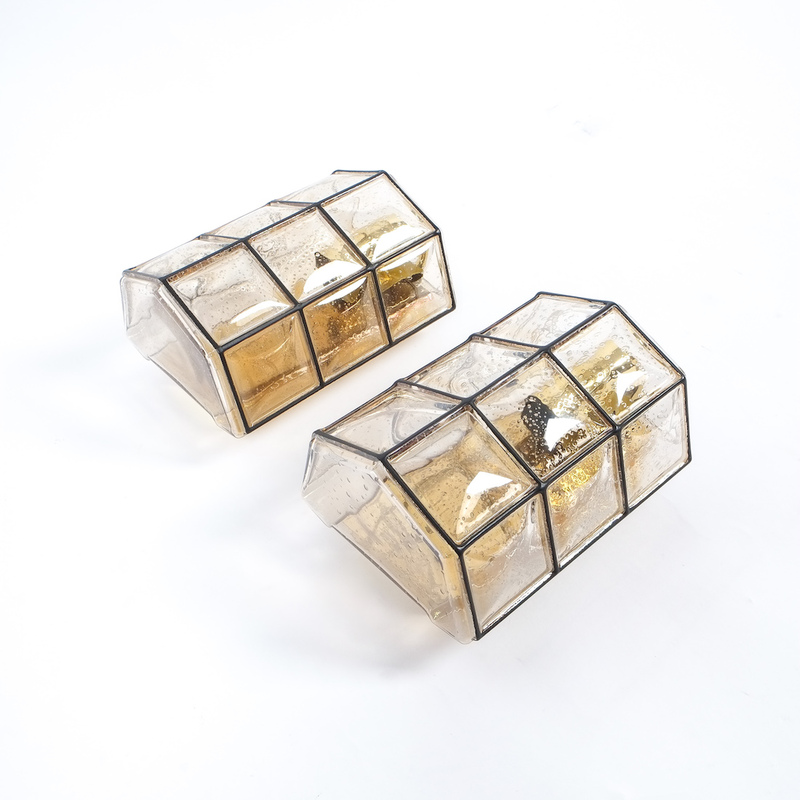 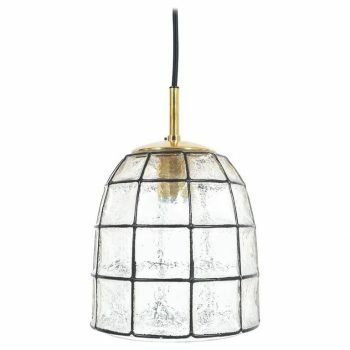 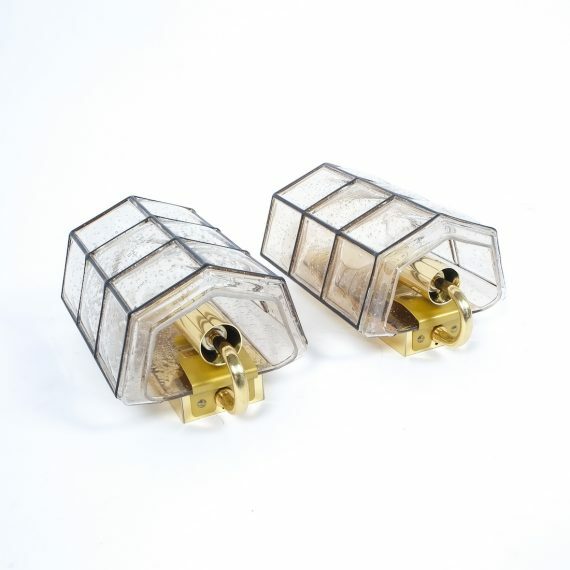 They have been comprised of slightly amber colored glass with black grid accents and polished brass hardware. 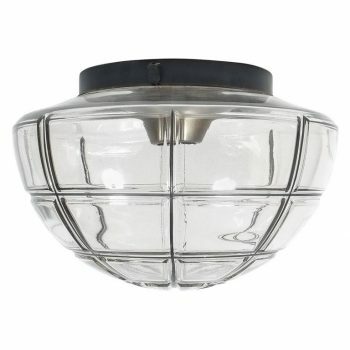 They are in excellent refurbished, rewired (110-220V) condition with one bulb per lamp. Find more pieces in our storefront.